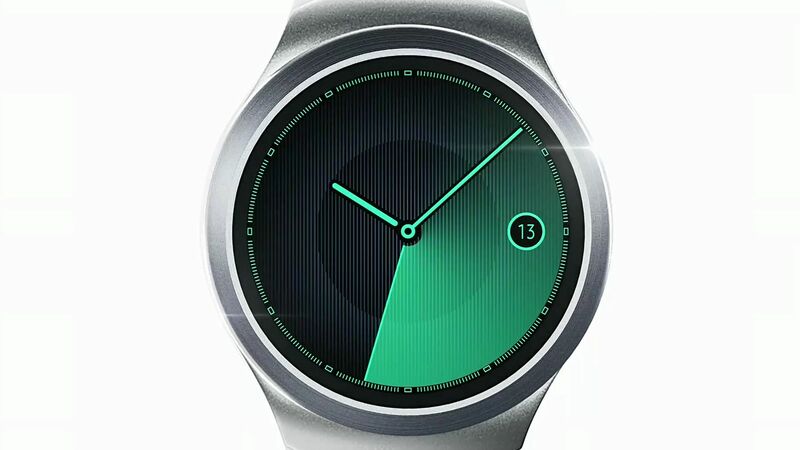 In the market for four months now, Samsung Gear Fit is part of a family of smartwatches developed by Samsung. In fact, this is the simplest of the watches that the company has released so far and is dedicated primarily to lovers of sport and the healthy lifestyle. 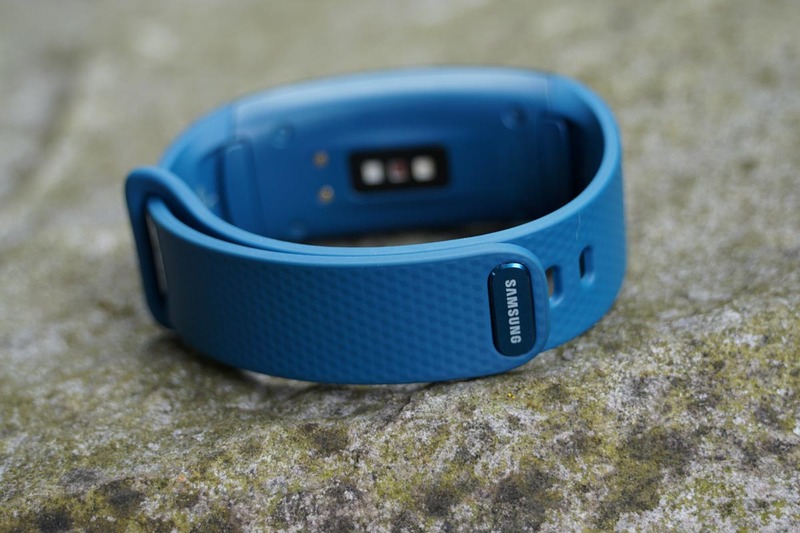 Gear Fit has been under review at Pplware for a few weeks now and we’ve presented more than a detailed analysis of this equipment as this article also serves as a short guide to using Samsung Gear Fit. 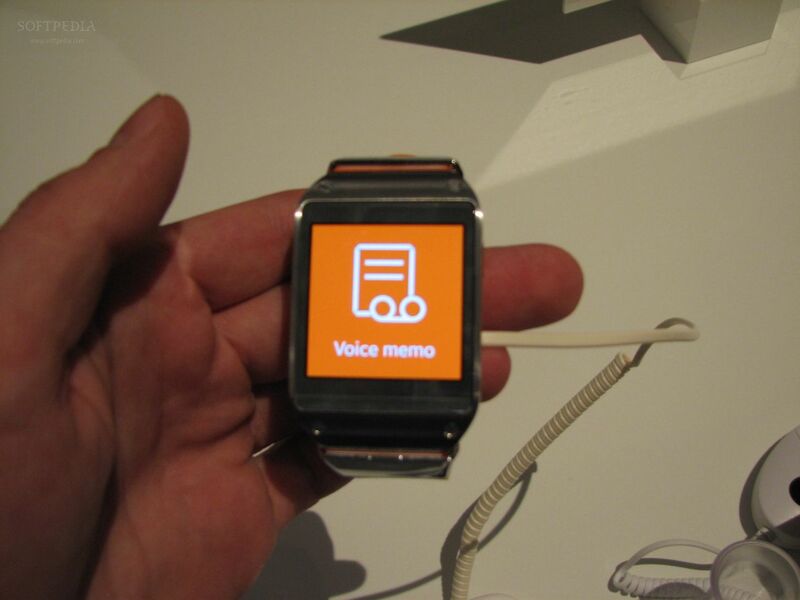 It was with the Samsung Galaxy Gear that Samsung started a real walk in the world of smartwatches. Presented at IFA 2013, this was the first smart clock with Android-based operating system. However, over the months, it was a real fiasco, sales were moderate and the return rate of this gadget reached 30%. Perhaps the prematurity with which it was put on the market dictated these results. Or, on the contrary, this smartwatch did not pass a test of Samsung to realize the interest on the part of the users by this type of equipment, since a few months later ended up putting three more of these watches on the market: Gear 2, Gear Neo and the Gear Fit. As soon as Google introduced Android Wear, another LED watch was introduced, this time the Gear Live. The curiosity to use one of these devices is undoubtedly great, and being 5 minutes to tinker them in a store does not reveal or allow to draw any conclusion about them. As such, Samsung made available to us the Samsung Gear Fit as well as a Galaxy S5, so that for a few days we could realize and really know all the features of this watch, which adapts to both the sport and any situation of the day -day. Gear Fit is the simplest and least functional of all the watches of the brand. Your operating system was developed by Samsung: we’re not talking about Android Wear or Tizen, just a proprietary naming system. Its use depends on the compatibility with one of the 17 devices, smartphones or tablets, all of them Galaxy from Samsung. The Samsung Gear Fit is a small and lightweight watch, just 26.94 grams and a dimension of 57.4 x 23.4 x 11.95 mm. The soft plastic bracelet with a plaid pattern, with only its name inscribed, is easily removable and the user can enjoy a wide range of colors adaptable to various situations and to his personal taste. 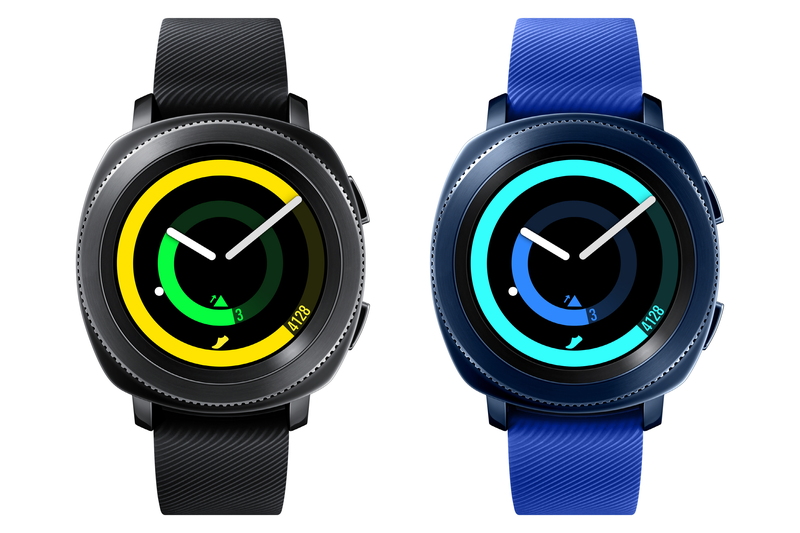 The Gear Fit only has the Power button on one side and the heart rate sensor is placed on the bottom of the watch for direct contact with the wrist. The Super AMOLED screen is curved and has 1.84 inches with a resolution of 128 x 432 pixels. In terms of sensors, Gear Fit has the heart rate sensor, gyroscope and accelerometer. GPS is missing, since for outdoor exercises, if you want to save the route, you need to carry the smartphone along with the clock. 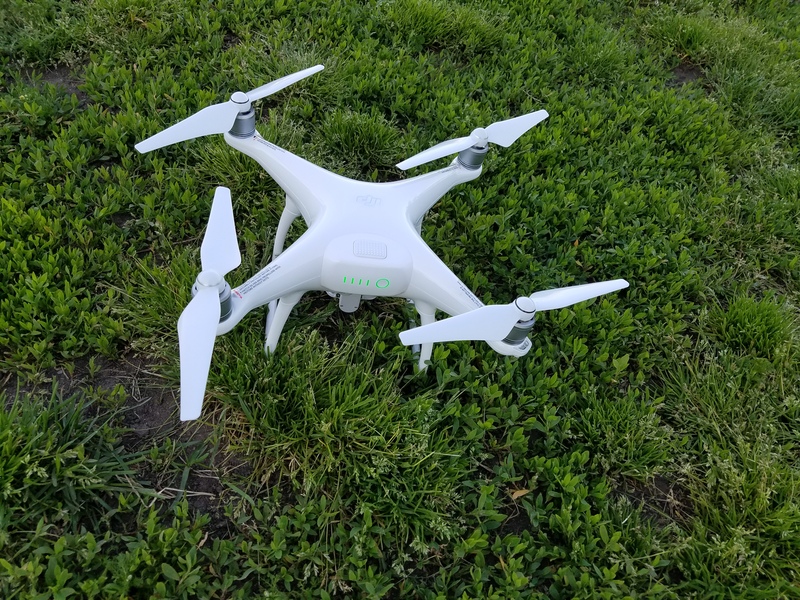 As such, the watch is no longer necessary for this monitoring since most transportable equipment is equipped with all the necessary sensors and the Galaxy S5 still has the heart rate sensor. This is a watch with IP67 certificate of resistance to water and dust, a certificate that could not miss a watch that is intended to be dedicated to sports. Inside the box, the accessories are not many, it just comes with Gear Fit, the charger, the charging dock, and the usual instruction and warranty manuals. 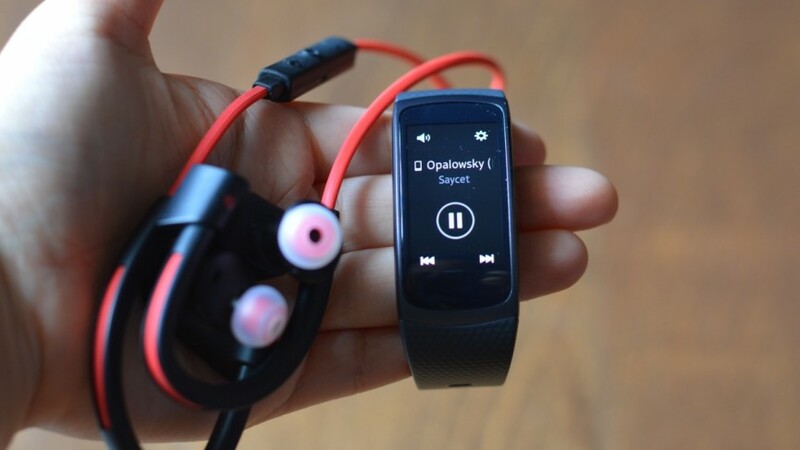 As already mentioned, Samsung Gear Fit requires the use of one of Samsung’s 17 compatible Galaxys and this requirement is noticeable at the first moment the equipment is turned on, where a message appears indicating the procedure that must be followed for Configure and synchronize the two devices. This procedure has already been explained in video in an article published a few days ago and that we leave here again in the analysis. First, you must turn on the Gear Fit and install the Gear Fit management application on the compatible Galaxy device through Samsung Apps, the Samsung application store. You can directly access the application here. Next, you’ll have to wait for Galaxy to find Gear Fit. Tap on the found device and then confirm both the smartphone and the clock the access code for pairing of the two devices, you must finally accept the terms and conditions of use and Gear Fit is ready to set up and use. In Gear Fit you have to start by choosing the wrist where you will use the watch and you are given back information that the pedometer will begin to count your steps. This should be the next step in smartwatch setup. To do this, go to Settings> Profile and enter your data. It is also important that you do so in the exercise and fitness management application for your smartphone or tablet, the S Health app, which is also available from the Samsung Apps store. There are many other Gear Fit settings available to you that can be changed both through the Clock and the Gear Fit management app from the background image, screen settings such as rotation position or character size, And you can also set a shortcut to the Power button. This and more. In the next video you can see in more detail the interface, options and features of Gear Fit. Being this watch a fit equipment, you are given some features that allow you to do that, monitor from the simple steps that take place in the day to day, to the race, to the bicycle or to a walk in the open air . When you select one of the exercises you are going to do, except for the daily steps, there are a number of programmable options, namely the objectives that you want to achieve. For example, who will race, can define the distance that you want to achieve, the kilocalories you want to burn with the training or the duration of the race. Then you can define whether your heart rate is constantly being monitored. In the latter case, after finishing the exercise, the user will have the information of the maximum, average and minimum number of beats per second during the training. All these options work very intuitively and data synchronization with S Health is perfect, however, there is a flaw that, in my opinion, is the great weakness of this device: the absence of GPS. For this reason, all the exercise done outdoors requires the use of the smartphone to record the course, otherwise this information will be left out of the record. As such, for those who want to record the entire course, Gear Fit is almost expendable. Nowadays, every smartphone accurately records almost all of the data that Fit allows (with the obvious exception of continuous measurement of heart rate) and location data. But for those who run into the gym, or just do not want to have the information associated with GPS, Gear Fit is perfect. As far as the pedometer is concerned, Samsung’s watch does not seem to fool around in the accounts. Whenever you start walking, it does not start counting the steps immediately, which could be a failure, however, there is a “hit” of the steps, which ultimately ends up hitting everything more or less right. Note that in these tests I used both the Gear Fit pedometer and a smartphone. In the end, the difference of steps was reduced to be able to point any defect to the count. There seems to be a certain imprecision about the heart rate sensor. When using the Galaxy S5 and Gear Fit sensor (not synchronized) simultaneously, the values ​​were not always the same, and when the tests were repeated several times, the values ​​changed, sometimes with lags of 30 beats per minute. It’s not that it’s serious, but it can be scary for those who, like me, do not realize much of these issues, when suddenly the heart rate, which normally ranges from 60-70 heart rate per minute, goes to 110 with the same level of effort . Then I realized that it was really sensor inaccuracy, which might have to do with the position of the arm, or the clock on the wrist … or simply poor quality in that detection. Sleep monitoring is a fairly simple process. When you lie down to sleep, you should just keep the watch on your wrist and start the “Sleep” action on the watch. While you sleep, the watch will detect your movements. When you wake up, you should turn off the action and you will be given the time you were sleeping at absolute rest and the time you were most agitated. At S Health all these data are processed for further analysis. In practical terms, I do not see any advantage or any benefit that can be gained through this monitoring, other than the mere “curiosity” factor that is lost after a week of use, because it is not very practical to sleep with the Watch all night. This is one of the most interesting and advantageous features of this watch. With the Gear Fit connected to the smartphone via Bluetooth, whenever it is contacted via a phone call or SMS, the watch vibrates and receives all contact information on the wrist. If you receive a phone call and can not answer through your smartphone, you can simply reject the call, or send a pre-defined message to that contact. In the case of SMSs, you will also have a list of pre-defined quick answers. 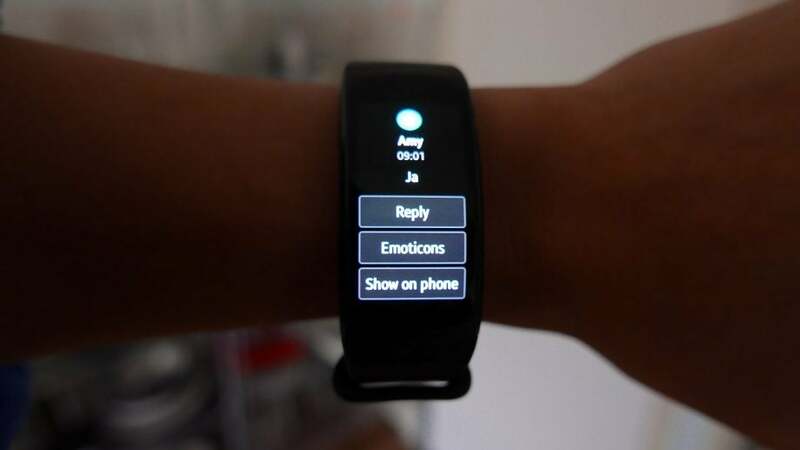 All these messages are editable and there is possibility to increase the list of messages through the management application of Gear Fit in the Galaxy used. In addition to these standard notifications, you can define all types of notifications you want to receive on your Gear Fit through the management application, from email notifications to social networks. Basically, of all the applications that allow notifications to be received on the smartphone. Media controller: With Gear Fit you can control all the music on the device, either start playback, skip forward or rewind the music track and still control the volume. Stopwatch and timer:These are two of the basic useful features that give some way to have around and totally exclude the use of the smartphone. Find my device::With a simple tap on the Gear Fit, as long as the Galaxy is powered by Bluetooth, it will start ringing for easy detection. The Samsung Gear Fit, regarding autonomy, takes a positive note. For charging, Gear Fit has a dock that is attached to the heart rate sensor at the bottom of the watch where the contacts are placed. Full charging is done in less than 2 hours. The battery is of 210 mAh which translates into an autonomy of approximately 5 days without using the functionalities of exercise. With 1 hour of daily exercise, with the heart rate sensor constantly on during exercise, Gear Fit lasts 2 to 3 days. The autonomy of the Galaxy S5 during testing was not affected by the constant synchronization with Bluetooth Gear Fit. The Samsung Gear Fit is available in Portugal for an average price of 181.61 €, KuantoKusta figures, however, there are several shops that have available for about 150 euros. 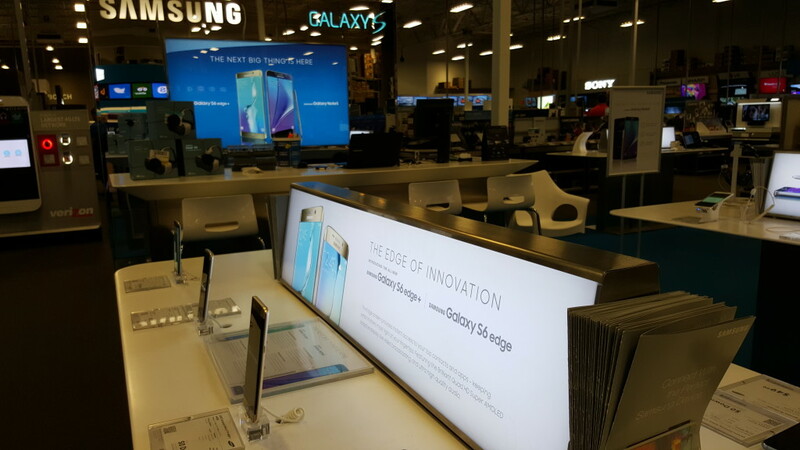 In other cases, it is possible to purchase the watch in conjunction with the Galaxy S5 in more inviting promotions. However, for the features of this equipment and the requirement of compatibility with a Galaxy, it seems to be an exaggerated price. 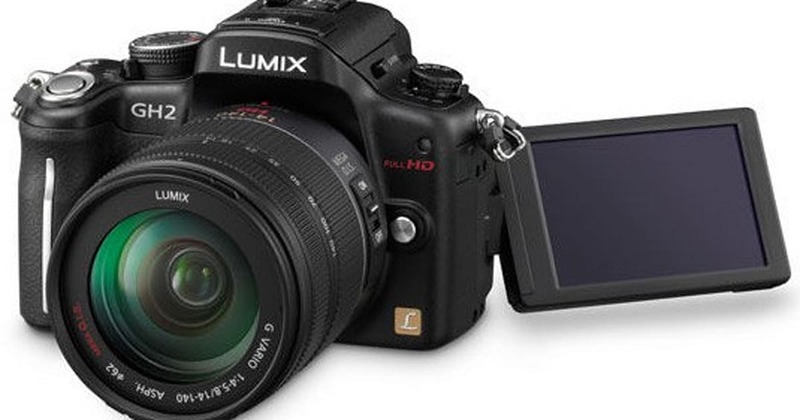 Something that was around 100 euros would be a fairer price for this type of equipment, considering the capabilities it has. The watch materials are quite sturdy. During the 2 weeks of continuous use it gained no risk or appeared to be defective. The use in the first few days was well taken care of, but I quickly realized that this is a real day-to-day watch. Despite being water-resistant I avoided contact whenever possible, removing it whenever I bathed, for example, the normal procedure that should be taken with any watch, whether sturdy or not. A doubt left by some readers was related to the perspiration caused by the bracelet and the underlying irritation. It should be borne in mind that although this is a gadget for everyday life, it was designed and designed primarily for sports, so the bracelet should not cause skin irritations due to sweating, and in fact I did not feel any problem thereby.Obviously at the end of a race or a walk you should remove your watch and eventually even wash the bracelet, but during the day I did not feel any discomfort. Already sleeping with him for sleep monitoring is more uncomfortable since I woke up at night with some irritation, having to remove it, especially on the hottest nights. Regarding the monitoring of physical activities, the statistics were quite satisfactory and congruent with what I had been doing with the smartphone that accompanies me during the training. It has the advantage of constant monitoring of heart rate, which for those who have these values ​​in consideration is an advantage, besides it is a small accessory that does not bother at any time. Setting goals is another positive point of this Gear Fit, since for those who train it can be an incentive to improve day by day. Whenever the goals are met, the user receives a medal, another way to encourage the next day to perform even better. However there is a big disadvantage, the lack of GPS, which makes all the route that is not accompanied by the smartphone is not registered in terms of location. Personally, I like to keep this information recorded, and it is not always possible to follow the training with the smartphone, much less if the compatible device is a tablet. If there are much cheaper devices on the market that include GPU, Samsung would only have to win if it had also included. Smartphone notifications in Gear Fit add to the positive aspects as it prevents the loss of multiple calls or important messages that arrive on your smartphone when the smartphone is silent, inside the bag or in any room in your home away from your ear. Although the operating system does not allow great interaction with the user, for those who have a Galaxy compatible, or want to acquire one, this will be a simple but interesting gadget for lovers of physical activities or simple outdoor walks. This is the first review in Pplware to a watch considered smart but more will follow, such as LG G Watch, with Android Wear, which is already under review, about which we have already presented the first impressions. Pplware thanks Samsung for providing Samsung Gear Fit and Galaxy S5 for review.